This reliable fairway driver is stable enough to handle headwinds, without turning over or glide away for you. Trust the Stål for those critical shots when you need accuracy rather than max distance. 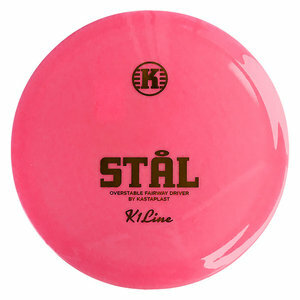 Among our discs, the Stål fits perfectly between the slower Kaxe and the faster Grym X. Suitable for experienced players, headwind and control shots.